This week, British Cycling’s #ChooseCycling network, a group of influential businesses representing over 250,000 employees and serving 46 million customers in Britain, wrote to the Chancellor, George Osborne MP, to urge him to put meaningful investment into cycling to help create a more productive nation. The businesses called on Mr Osborne to commit to helping to make Britain the most active nation in the world, and in turn ‘steer us clear of a costly health crisis and help to create a healthier, happier, more focused, more skilled future generation’. Examples of sustained investment in cycling infrastructure paying rich dividends can be seen across Europe, with perhaps the finest model being Copenhagen, which is known as the most bicycle friendly city in the world. At the invitation of British Cycling, the transport minister, Robert Goodwill, visited the Danish capital last month. Mr Goodwill admitted to being ‘blown away’ by the infrastructure in place for cyclists, and also conceded that Britain has 30 years of catching up to do. So how can we begin to catch-up, and what can the government learn from Copenhagen in order to deliver the Prime Minister’s promised ‘cycling revolution’? 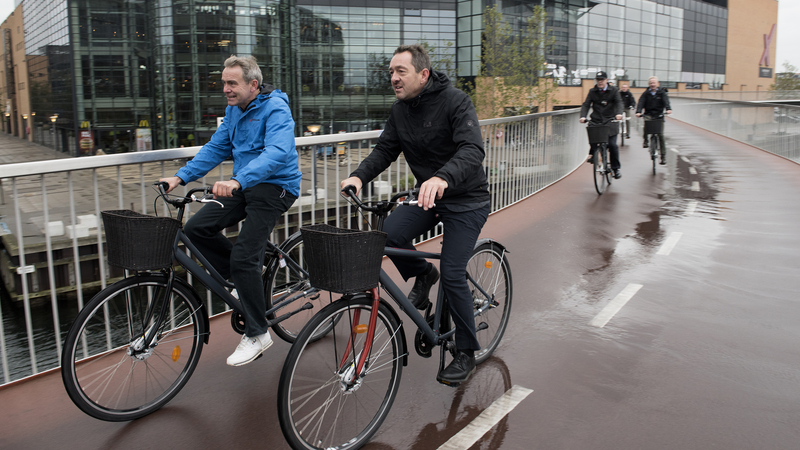 During his visit to Denmark, Mr Goodwill was shown three specific interventions, all of which benefit cyclists and motorists, by improving the city’s traffic flow and safety. British Cycling believes these measure are adaptable to the UK and are essential to making a true cycling nation. At junctions in Copenhagen, the cycle lane is uninterrupted, giving cyclists the confidence that motor vehicles will be aware of their presence. Furthermore, motor traffic is obliged to give way to cycle traffic, with car drivers waiting until there is a gap in the cycle traffic to turn – a law known as the ‘Universal Duty to Give Way’. This law applies in all situations and means cyclists give way to pedestrians and drivers give way to cyclists. The simplicity of the law helps all road users and contributes to mutual respect on the road. The principal of Danish infrastructure is to provide dedicated space on busy roads, shared space on quiet roads and green routes. Mr Goodwill was shown examples of all three, and saw how this planning knits together providing facilities for all types of journeys and catering for all people. In the UK, adoption of national standards of cycle infrastructure design, construction and maintenance would see our roads meet needs of people who would like to cycle more but have concerns about safety. The standards could be linked to the forthcoming national infrastructure and investment strategies. In 2007, when looking for a way to reduce congestion in Copenhagen, leaders rejected imposing a congestion charge on cars in favour of making it easier to commute greater distance by bike by reducing journey times. This drive to meet the needs of the commuting cyclist has included improving the network of cycle tracks, increasing capacity and the ability to overtake by widening cycle tracks, providing a smoother surface, introducing contraflow cycling in several sections and the opening of new bicycle and pedestrian bridges. A superhighway project allows commuting cyclists to enjoy the same standard throughout their journey. The paths are organised so that they connect residential and educational centres with employment centres, and provide the most direct route. It makes cycling competitive with other forms of transport in terms of journey times, comfort and convenience. These measures have resulted in travel times being shortened by an average of 7% since 2012. 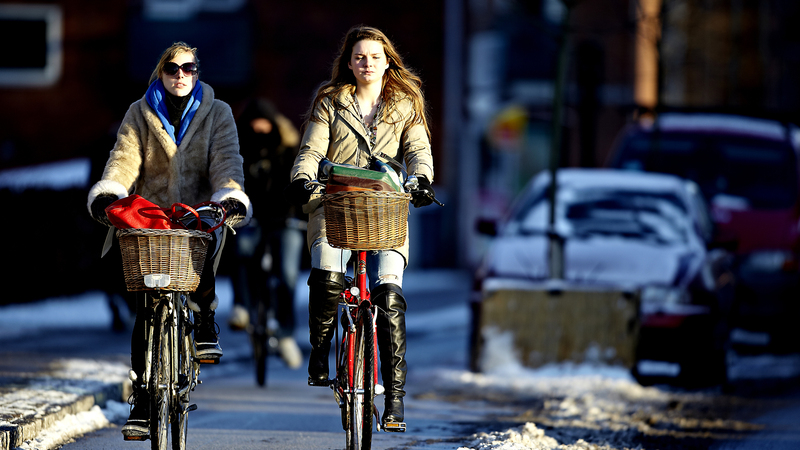 The number of kilometres cycled on an average weekday in Copenhagen now stands at 1.34 million. The cycle super highways model is transferrable to the UK, and should be considered as a core part of the national infrastructure and investment strategies.